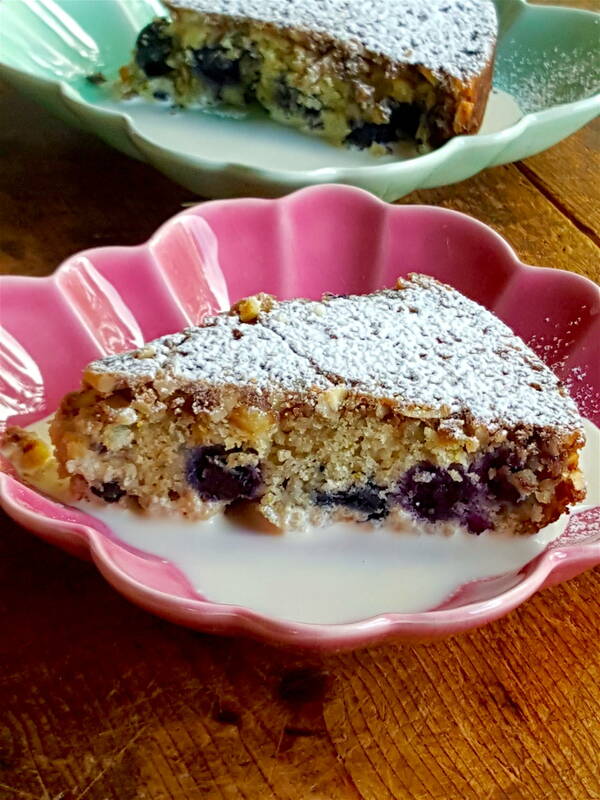 Blueberry muffin cake – all the inherent goodness of blueberries! This is an easy dessert cake to make with a good crunchy topping. As always with sweet things, concentrate on the inherent goodness – in this case, blueberries, nuts and lemon zest, egg and milk. 1 Preheat oven to 190°C (375°C). Line the bottom of a 23cm (9”) non-stick cake tin with baking (parchment) paper. 2 Make the topping first. Put flour, sugar, cinnamon, mixed spice and almonds in a bowl and pour in melted butter. Mix to a thick paste and press into bottom of tin. 3 Sieve the flour, salt, caster sugar and baking powder into a large bowl. Sprinkle over the lemon zest and blueberries. Beat the egg well then add the milk and oil and mix well together. Pour into dry ingredients and gently fold together (don’t beat as this will make the batter turn blue!). 4 Spoon at once into the prepared tin. Bake for 30-35 minutes until golden on top and bubbling around edges. Cool in the in for 10 minutes, loosen the edges with a flat-bladed knife, then turn out onto a cooling rack. If liked, dust with icing sugar before serving. This cake looks delicious! Do you have to use frozen blueberries? And is the recipe in any of your books? Hi Philipa. 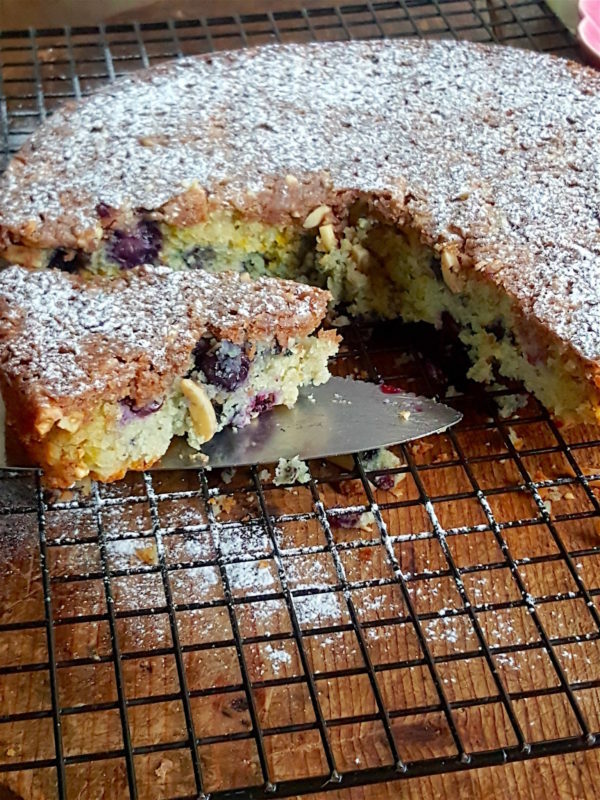 I posted this cake in August when fresh blueberries were not available. Blueberries do freeze well and I generally buy some when they are cheap and keep them in the freezer to add variety to my weekly menus. But of course you can use fresh blueberries! The recipe is not yet in any of my books. I hope you try it.